Raquel Barreto’s costume designs in the 2016 staging of Pericles at the Guthrie Theatre. Photo by Jenny Graham. It’s been 25 years since the Guthrie Theater’s artistic director Joseph Haj first staged the Shakespearean play Pericles, Prince of Tyre. The production that opened last night at the Guthrie is the third incarnation of a critically lauded staging that Haj launched at the Oregon Shakespeare Festival and later brought to the Folger Shakespeare Library in Washington, DC. Costuming is a critical aspect of any theatrical performance. 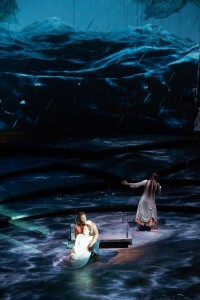 For this staging, Haj turned to costume designer Raquel Barreto and has continued to work with her on refining the production as it moved from venue to venue. DC Metro Theatre Arts praised Barreto’s work for Pericles as “a visual delight”; DC Theatre Scene described her costume designs as integral to the production, lauding her use of “accents from ancient garments from the Middle East.” Barreto agreed to chat with the Twin Cities Arts Reader‘s Basil Considine about her work. You’ve done a great body of work on the West Coast. What was the process that brought you to designing for the Guthrie? This production of Pericles originated at the Oregon Shakespeare Festival, where I have been working for the past few years. I have done a lot of work there, as well as in Los Angeles, where I am now based, and up and down the California coast. Designing at the Guthrie has been a dream since my years in graduate school, so it’s an absolute thrill to bring it here. How does your creative process work in designing costumes? Do you start with a sketch, start with research, etc? Barreto’s costume design for the titular Pericles (Wayne T. Carr) in the Guthrie Theater’s 2016 staging of the play. Photo by Jenny Graham. Every show starts differently. With Pericles, I spent a lot of time with the research, collecting images and sharing them with the artistic team. The play does not take place in any one given historic period, so I was free to wander in a number of directions. I researched the clothing of the classical Greek world along with looks of today’s Greek royalty, for example. This large collection of images was the basis for a series of sketches, which were shared at each round with the director until we agreed on the looks. Then finally adjustments were made based on the cast, as I believe in designing for a specific rather than a generic actor. Pericles is arguably one of the most obscure of Shakespeare’s plays. Were you familiar with the work before you started working on it? I first designed a production of Pericles at the California Shakespeare Festival a number of years ago and fell in love with it. It was colorful, vibrant, wild. The play was initially difficult to crack, but when it all came together I understood how touching and entertaining it can be. When OSF [the Oregon Shakespeare Festival] asked me about my interest in the project and put me in touch with Joe Haj, I was actually teaching the play in a graduate seminar. It was a wonderful coincidence, because I had already been reflecting on its bigger themes and relevance to today’s audiences, so we had lots to talk about. I can’t think of a better way to start a project! Barreto’s costume designs for Thaisa (Brooke Parks), Pericles (Wayne T. Carr), and Lychorida (Emily Serdahl) in Pericles. 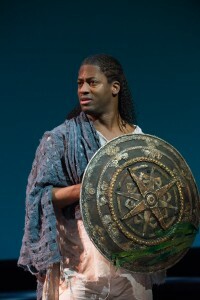 Pericles is an unusual tripartite collaboration between the Guthrie, the Folger, and the Oregon Shakespeare Festival. Has that influenced your design or working process? Not initially, but it feels extremely lucky to have a chance to refine the designs as we went along. The initial space was much smaller than the Wurtele stage, so a big part of the process on the costumes has been to make sure the folks sitting in the first row can enjoy it as much as those in the balcony. The adjustments had to do with color – the tight color palette had to be punched up a bit in some places with the addition of subtle colors – and with creating definition with the addition of trims and details. A lot of wigs are used in the show, and by the time we got to the Guthrie they evolved in a really direction, bringing even more subtlety to the show. The palette for this show (at least in its Folger incarnation) is rather muted. Where did this palette choice originate, and how did it evolve? We decided on a tight color palette early on – it had to do with a desire to make the world of the play as cohesive as possible. Pericles is known as a very fragmented play, with major, unexpected changes in tone, and I think it’s easy for it feel like a series of snapshots of distant destinations. 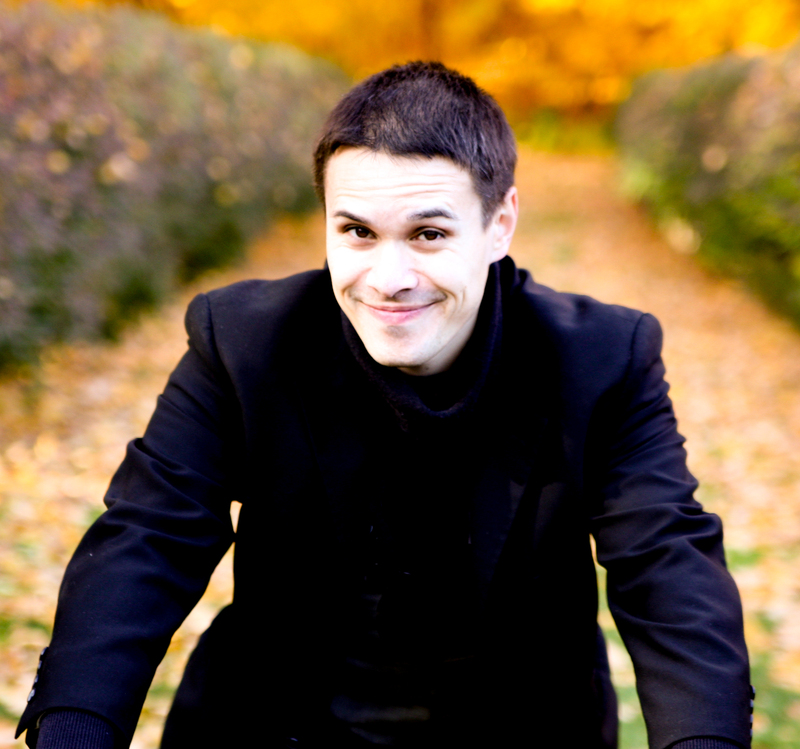 On this production, the artistic team was much more interested in the spiritual aspects of the story, in the journey of the title character through life. We wanted to honor the rollercoaster quality of this journey, but keep it cohesive and elegant by limiting the palette. There’s actually quite a bit of color when you see the clothes in close up, but they were chosen and treated to evoke sand, marble, dry wood, etc. Textures were vital in creating the richness of the world. I love working with a tight palette, it gives you a framework and stretches the designer’s imagination. 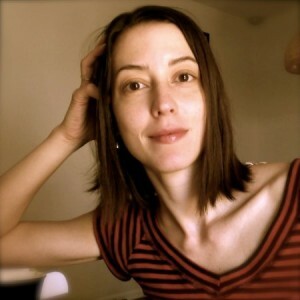 You did your MFA at the University of California–San Diego. Looking back, what are some of things that you’ve learned on the job post-graduation that you would tell current students to learn or be aware of? I would tell them to not underestimate the power of the relationships you forge with you fellow students – my graduate school network is a major force in shaping my career. I would also recommend that current students take the time to see as much live performance as they possibly can: theater, dance, opera, everything – it may seem like you’re busy now, but just wait until you get out of school… This is the time to educate yourself, to create an artistic vocabulary that will land you the jobs post graduation. Oh, and last but not least: take risks! Don’t bother to do safe, boring work while you are in school. Make every project personal and think outside the box. 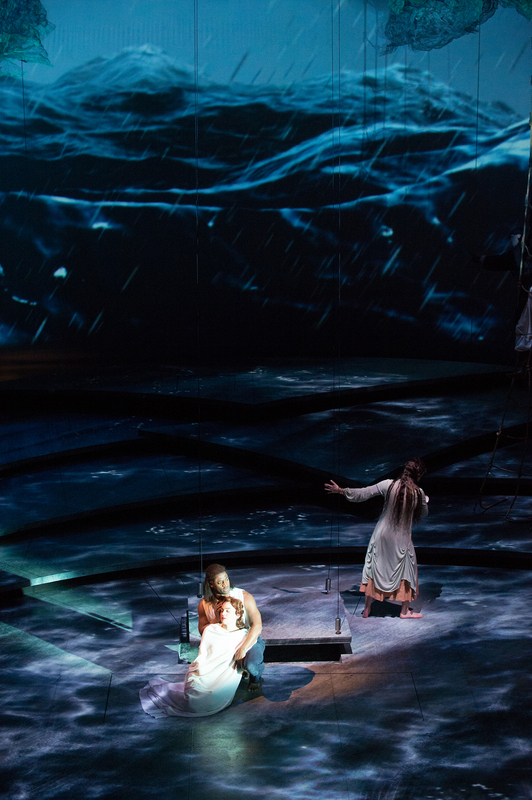 Pericles runs through Sunday, February 21, 2016 at the Guthrie Theater’s Wurtele Thrust Stage.